Last week TIPM reported that the filing for class action lawsuit certification against Author Solutions in the Southern District Court of New York had been denied by presiding Judge Denise Cote. The case was first filed in April 2013 by law firm Giskan Solotaroff Anderson & Stewart on behalf of self-published authors Kelvin James, Mary Simmons and Jodi Foster. 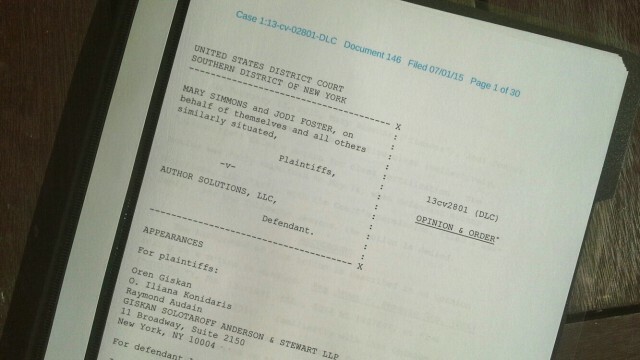 The class action suit details complaints of breach of contract, unjust enrichment and violations of US state statutes in various areas (Giskan Solotaroff Anderson & Stewart cited that these practices are violations of the California Business and Professions Code, and also violations of New York General Business Law). Judge Denise Cote denied the class action certification when she delivered a 30 page document last Wednesday, July 1st. You can read the full ruling here, and in this post, as part of our continuing series The Case Against Author Solutions (Parts 1, 2 & 3), we are going to examine some of the reasons why Judge Denise Cote denied the class action certification. Firstly, let’s clarify what a class action lawsuit is and how it can benefit numerous plaintiffs joining a class action suit. While a blow for law firm Giskan Solotaroff Anderson & Stewart and its author plaintiffs, Judge Denise Cote’s decision on denial of class action certification can be subject to an appeal. It should be noted that there are currently two other lawsuits pending against Author Solutions in the state of Indiana. Straight away, it is worth noting that the third plaintiff, Kelvin James, dropped out of this lawsuit. I’m going to pull extracts from the 30 page court decision and include notes where I feel it is appropriate. Many of the [Author Solutions] imprints are designed to appeal to authors with different motivations. 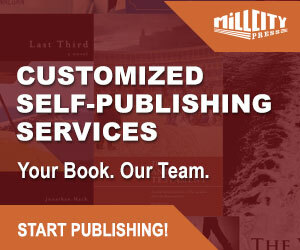 Some authors choose to publish with AS because they could not secure a traditional publishing deal; others want a book to give to family members. Some hope to get picked up by a traditional publisher or even aspire to become the next best-selling author, while others simply want to see their names in print on their bookshelves. 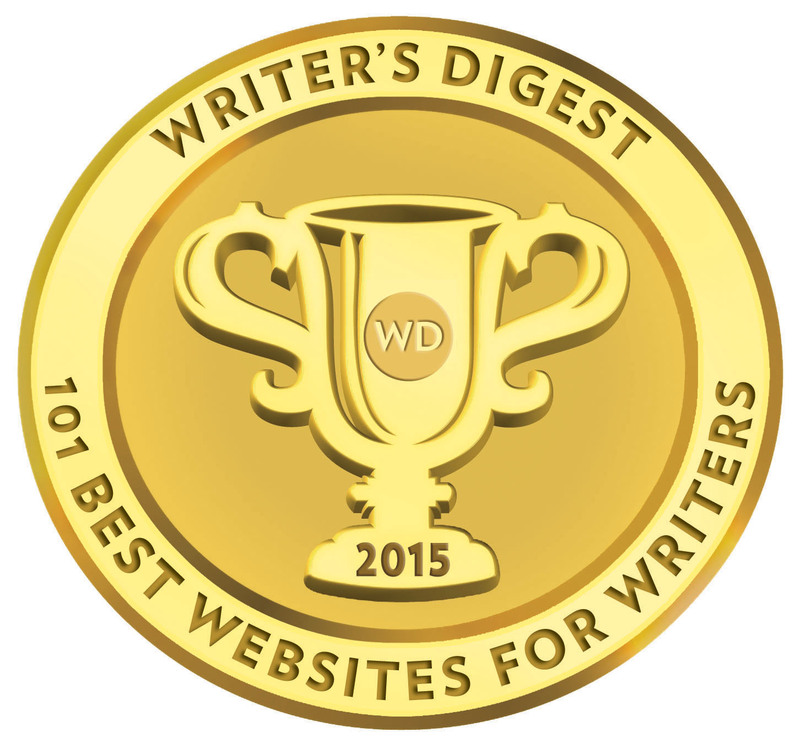 AS markets its services to authors primarily online through its various imprints’ websites. Authors initiate contact with AS, typically by completing a form on an imprint’s website, thus becoming a “lead” for that imprint. This extract, while factual based on the evidence presented in the case, is notable in that it classifies self-publishing service providers in two distinct way, ignoring that entrepreneurial authors will often contract individual services directly from freelance publishing professionals. While GSAS may have wanted to concentrate on Author Solutions and its business model, it’s the first sign to me that GSAS may not be entirely familiar with the self-publishing landscape. The suggestion that authors of AS (Author Solutions) initiate contact is misleading. 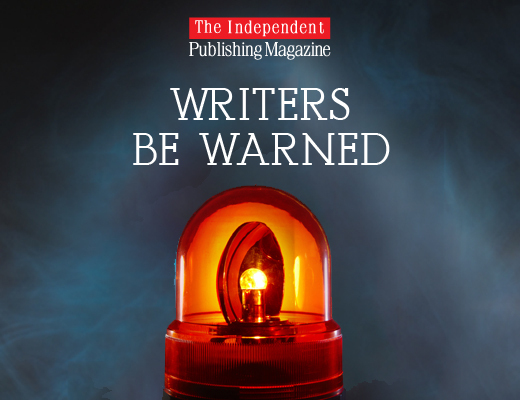 I’ve countless reports from authors who were contacted by AS without them ever ‘initiating’ first contact. AS also owns multiple websites which purport to be consumer-friendly comparison websites deliberately designed to drive authors to AS imprints. This was something GSAS could and should have provided evidence of but failed to do so. Plaintiffs purport to find deceit in AS’s use of the label “consultant” for its salespersons, claiming that the title implies certain relevant experience or skill in its bearer. Plaintiffs adduce no class-wide evidence, however, that the label deceived authors. Presented with a ‘consultant’, authors don’t automatically read salesperson; they read consultant — someone on their side prepared to advise them in their best interests. GSAS failed entirely to prove this misrepresentation. For me, this was an absolute open goal and they inexplicably missed an important foundation in their case. One of the imprints that AS owns, and the only imprint at issue here, is iUniverse. Plaintiffs narrowed their putative class to authors with iUniverse contracts because those contracts do not contain venue clauses; other imprints’ contracts include venue clauses selecting Indiana, the state in which AS is based. I concur with the above point. Any iUniverse contracts I have seen do not include the venue clause that legal action must be pursued in the state of Indiana. Though I only offer this as an opinion, I suspect this may be the reason why we had switches in plaintiffs, why GSAS may be selective in which clients they take on, and ultimately why two separate suits were eventually filed in Indiana. However, I’m still at a loss as to why GSAS first filed in New York. The venue clause is widely known to exist in AS imprint contracts (a big red flag) and I can’t believe GSAS would have missed this even at an early stage of preparing these suits. If you want your book to sell, you’ll want to do more than just hope for the best. Our selection of promotional products and services allows authors to build a dynamic platform from which they can effectively promote and sell their books. Create your marketing plan and materials with our simple step-by-step tools. When this action was filed, the claims concerned, among other things, the quality of AS’s editorial services and its payment of royalties. Plaintiffs are not pursuing those theories of liability in seeking class certification. I found the references to sales of books in the retail channels by iUniverse amusing considering we heard countless references in depositions delivered by senior AS staff that the company did not actually monitor the effect of marketing packages on sales. Again, it is a critical area GSAS did not present clearly enough to Judge Denise Cote or she simply chose to give little weight to the depositions when citing references from the iUniverse website. Compared to the depositions entered by AS, I found all three author statements lacking brevity and specific detail. Often dates were mistaken and critical detail as to what was promised/said to the author was missing through emails. This is always going to be an issue when authors are also communication through phone calls. In this case Judge Cote has relied on disclaimers proliferating iUniverse’s website. 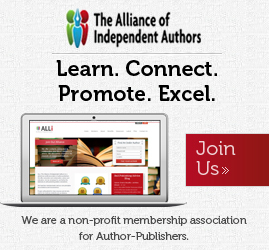 Director of Author Marketing Services at AS, book sales is “not one of the goals of [AS’s] marketing services.” In fact, she said, “[I]t would be unrealistic for us to think that we could market our author’s books. Assisted self-publishing is marketing — assisted marketing.” AS employs no salesperson to sell authors’ books to the general public through the retail channel. The salespeople it does employ are not required to have marketing or publishing experience, and they focus their efforts on selling AS products to authors. This was a significant pointer from Judge Cote, accepting the defendant’s argument that iUniverse’s goal is not to sell books but sell products to authors. For me, once she accepted this and that iUniverse had covered itself with enough website disclaimers, the plaintiffs’ case was looking pretty weak. On page 9 of Judge Cote’s ruling, she also reminds us that on April 11th, 2014 Penguin was dismissed as a defendant from the action and the unjust enrichment claim against AS based on unpaid royalties was also dismissed. On January 12th, 2015 Kelvin James (one of the three plaintiffs) withdrew from the case, and this meant that there was now no named plaintiff residing in the state of New York. Fundamentally, we had two remaining plaintiffs respectively from California and Colorado depending on statutory and common law claims under the laws of both states, but within the state of New York. Plaintiffs move to certify a class to bring claims for alleged misrepresentations by AS about the marketing services offered by iUniverse. In their reply brief they appear to define the class as all persons who, during the period September 1, 2007 through the present, purchased marketing services from iUniverse in conjunction with their written work(s), including through the purchase of a Premier, Premier Pro, Bookstore Premier Pro, or Book Launch Premier package. And this is really where what remains of the plaintiffs’ case begins to seriously unravel. Plaintiffs do not explain why the class period runs from September 1, 2007, but the earliest subclass period runs from April 24, 2009. Plaintiffs explain in their reply brief that a third purported subclass, which they label the “Premier Publishing Package” or “PPP” subclass, brings claims under the UCL and CCPA. They do not explain, however, how the PPP subclass would differ from their California and Colorado subclasses. Consequently, the proposed subclasses as described above shall serve as the subjects of analysis here. As discussed in more detail below, a substantial portion of plaintiffs’ motion can be denied without resort to the strictures of Fed. R. Civ. P. 23. Plaintiffs do not seek to certify their breach of contract claim, and, as discussed below, the unjust enrichment claim cannot be certified, because it is precluded by the existence of an agreement. Additionally, the CCPA claim cannot be certified as requested here, because the statute does not permit money damages claims in class actions. Because the Colorado subclass would bring only the unjust enrichment claim and the CCPA claim, neither of which can be certified, and because plaintiffs have no further opportunity to amend, a Colorado subclass may not be certified. I would have though that a submission of this nature referring to across several years would need to be backed up by specific numbers, after all, the application is for class action certification and in at least two or more states. The below note by Judge Cote is in relation to the unjust enrichment claim. Plaintiffs do not specify the jurisdiction under whose law they assert the unjust enrichment claim, but it is universally recognized that “[a] valid contract defines the obligations of the parties as to matters within its scope, displacing to that extent any inquiry into unjust enrichment.” Restatement (Third) of Restitution and Unjust Enrichment § 2(2). As this is a diversity case, New York’s choice of law rules apply. Chau v. Lewis, 771 F.3d 118, 126 (2d Cir. 2014). And “New York choice-of-law rules . . . require the court to honor the parties’ choice of law provision insofar as matters of substance are concerned, so long as fundamental policies of New York law are not thereby violated.” Bank of New York v. Yugoimport, 745 F.3d 599, 609 (2d Cir. 2014) (citation omitted). Here, the contract chooses Indiana law. Lawyers will often cite previous legal cases to support plaintiff claims but it doesn’t help your case when you rely on cases with laws that have been changed or updated, or rely on cases when the class actions were restricted or precluded. Against this conclusion, plaintiffs cite a number of unhelpful cases. They rely most heavily on Robinson v. Lynmar Racquet Club, Inc., 851 P.2d 274 (Colo. App. 1993). As the Martinez court noted, however, Robinson involved a prior version of the CCPA that did not expressly preclude actual damages in class actions, as the current version, enacted in 1999, does. Plaintiffs assert that AS violated California law by fraudulently holding itself out — principally through the three postings on its websites described above — as a publisher capable of and invested in helping authors sell their books, when its business was actually designed to make money for AS instead of selling authors’ books. Plaintiffs assert that class members would not have purchased AS services but for its website descriptions of its marketing programs and identify the following question as common to all class members: Did AS engage in a fraudulent scheme to sell worthless marketing services? Plaintiffs seek a refund of all payments for marketing services made by each class member to AS. This action has been a story of plaintiffs’ search for a theory of class-wide liability; their inability to find a winner despite numerous iterations only bolsters the ruling of non-certifiability. One of the main planks of the case against Author Solutions is that its website and content is misleading to authors. This means that the plaintiffs had to prove that authors were deceived by what was on AS websites. And bear in mind those disclaimers Judge Cote referred to earlier in regards to marketing packages and book sales. In other words, a class action is not about proving one person (author) was deceived, but supporting this with evidence that others were deceived and within a specific state and its laws. Plaintiffs offer no evidence that members of the California subclass, other than Foster, were exposed to the representations about which they complain. As such, class-wide exposure cannot be presumed. See id. at 1069 (no presumption of exposure where independent analysis required to determine whether disclosures in class members’ contracts sufficed to alert customers to alleged omission). Indeed, class members may have read different parts of iUniverse’s website (if they read it at all), and what they read may have been supplemented by any number and manner of telephone or email conversations with AS personnel. Whether particular AS representations would be likely to deceive any given class member, in other words, is not susceptible to generalized proof. A lack of evidence of exposure is not the only reason that predominance is lacking here. Even where there might be evidence of exposure, the subject of that exposure is nebulous at best: The representations about which plaintiffs complain (the most damning of which are quoted above) are by any measure soft. AS’s statements about its marketing services straddle the line between representation and puffery, making it all the more difficult to conclude that generalized proof could demonstrate that these statements would likely deceive a member of the public. Critically, Judge Cote noted that no authors ever claimed misrepresentation in the contract terms they signed with Author Solutions and did not present evidence of’ ‘sales. call script’ and did not base their ‘theory of class-wide liability on individual conversations either.’ She concluded that the plaintiffs were left with only the website of the AS imprint. Those representations, however, hardly drive the conclusion that a uniform scheme to defraud victimized the class. It would be easier to find predominance if, say, plaintiffs offered evidence that everyone with an iUniverse Bookstore Premier Pro publishing package was victim to misrepresentations in the contracts they all shared. It is unsurprising, however, that plaintiffs do not take this tack. Tellingly, the relevant contracts are nearly silent on the issue of marketing services. Under her contract, Foster granted AS the right to market her work, but notably absent is any accompanying obligation by AS to do so. Similarly, the portion of the agreement devoted to Rising Star sets out the eligibility requirements that Foster had to meet, but imposes no specific marketing duties on AS. … plaintiffs pivot and contend that their claims are not actually premised on each class member’s reliance on a particular misrepresentation. Indeed, they contend that a class may be certified because every class member was subject to a common deceptive scheme. In other words, although a script was not required, some evidence of a centrally-orchestrated scheme with concrete misrepresentations was. Despite the completion of discovery, no such evidence has been presented here. AS raises several other substantial defects in plaintiffs’ application for certification of a class. Because those discussed above are fatal to plaintiffs’ application, it is unnecessary to discuss the remaining arguments addressed in the parties’ briefs. Plaintiffs’ February 13 motion for class certification is denied. It is never good when a judge ends with a disparaging —there’s so much unproven here, I’m not even going to bother dealing with all the other things that may also be wrong and unsubstantiated. The plaintiffs and GSAS simply could not substantiate their claims of deception and unjust enrichment. If you are going to cite violations of state laws, it helps if you file a claim within that state. Each individual author claimant case lacked documented evidence of deception. Where AS staff depositions were somewhat detailed and substantive, statements provided by authors were often brief and lacked critical evidence of interaction with AS staff. The plaintiffs’ case relied far too much on theoretical argument and on the AS imprint website content, which included a host of disclaimers on book sales. But fundamentally, GSAS did not prove that the experiences and grievances of a three authors (initially) were the widespread experience of other iUniverse authors. I certainly hope that the suits taken in the state of Indiana are far better presented. GASA can only learn from the experience of this case in New York. It still remains unclear if it will lodge an appeal and on what grounds. I am Jodi Foster one of the plaintiffs. I would love to do an interview and share my experience, thoughts etc with you regarding Author Solutions.